A Hull grandfather is appealing for help to reunite him with his faithful four-legged companion of 11 years. Ray Hunt, 76, says he feels “lost” since Bramham the Jack Russell went missing from his Willerby home more than two months ago. He has now made an emotional plea for help in trying to find the white dog, which has distinctive brown ears. Mr Hunt said: “Bramham is part of my family. He was bought for me by my children as a Father’s Day present. “He is such a little treasure. He doesn’t have a bad bone in his body. He would always play with my grandchildren. Bramham disappeared from the outside yard at his home in Main Street, Willerby on March 25. Mr Hunt said: “He used to love being outside and looking at what was going on. Mr Hunt is appealing to anyone who has Bramham to look after him. Mr Hunt’s daughter Alex has since set up the Missing Bramham Facebook group to try and find the popular pet. There have been sightings of Bramham in the east Hull area but he has still not been returned to his rightful owner. Miss Hunt said: “Dad is 76 now and he can’t go wandering the streets looking for him. 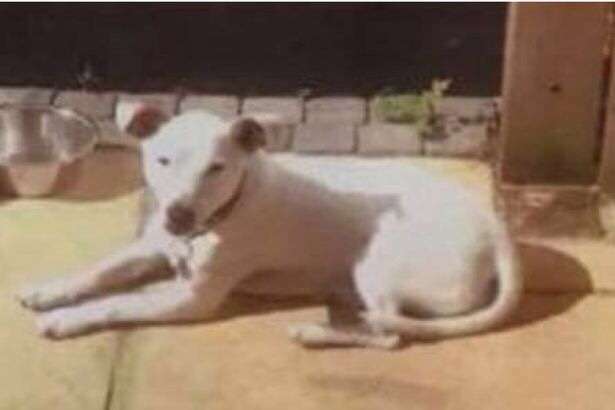 Anyone who has any information about Bramham’s whereabouts can contact the Mail on 01482 315105 or alternatively visit the Missing Bramham Facebook page. ← Famous West End cat loved by Kevin Bridges and Greg Hemphill ‘abducted’ by woman with a box. Glasgow.